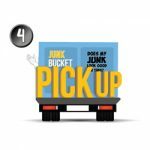 There is only one dumpster rental service in South Tampa that can claim the title of The #1 Dumpster Rental Company in South Tampa and that’s the one and only Junk Bucket. 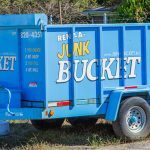 If you live or work in the South Tampa Area and find yourself with junk, debris, unwanted items, renovation debris, furniture or anything else you don’t want, then The Junk Bucket is the perfect solution to your junk problem. 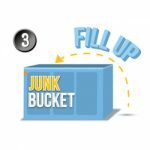 The Junk Bucket is great for homeowners and business owners alike. 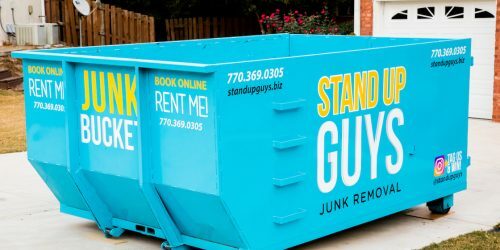 If you are just sick and tired of the clutter, and have decided to do some ‘spring cleaning‘ at your home, then renting a Junk Bucket Dumpster is a great idea. It can sit outside of your home as long as you like, and you can fill it with your household junk at your leisure. Same goes for business owners. 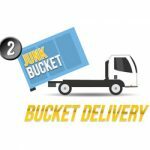 If you have an office that you need to clean house in, then Rent a Junk Bucket. 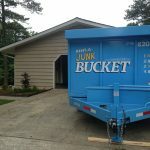 If you are a contractor renovating a house, then yes, Rent a Junk Bucket. It’s perfect for millions of different scenarios and situations. Renting a Junk Bucket Dumpster in South Tampa is simple. 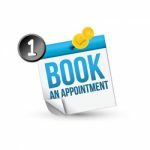 First you call us up at 813-512-0480 and let us know what time works best for you. 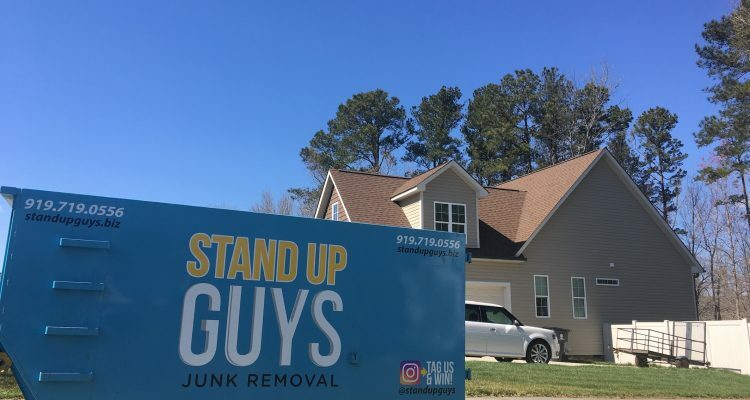 At the time that YOU requested, one or our uniformed, professional Stand Up Guys will deliver a Junk Bucket to your property. Next, just tell them exactly where you like it, and they will maneuver it there. Once the dumpster is set, you can use it however you like. You can fill the whole thing in a day, or a week. You go at the speed you like. Once you are finished with your cleaning, and have gotten rid of all the junk you wanted to, just call us up and we will come back and pick up the Junk Bucket right away. Just like that, your junk is gone. South Tampa is a beautiful neighborhood, and one of the most desired places to live in all of Florida. South Tampa is home to many popular neighborhoods, like Beach Park, Hyde Park, Davis Islands and more. 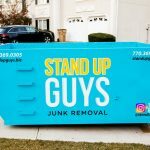 The Stand Up Guys deliver Junk Buckets all over the South Tampa Area, from right off the Gandy Bridge to Bayshore and everywhere in between.